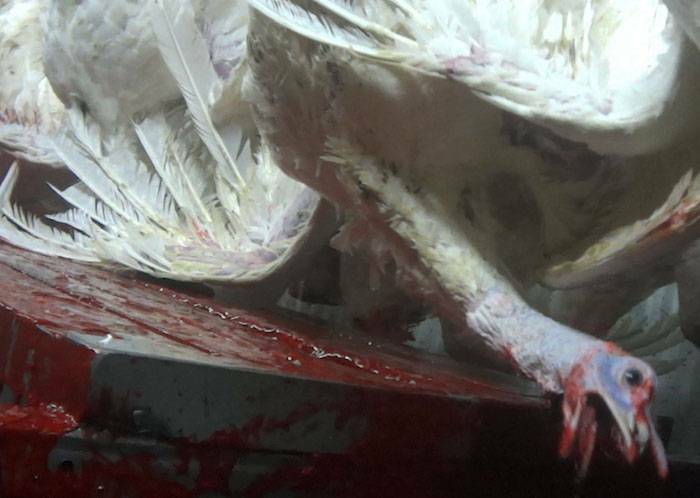 The suffering these birds endure is considered standard by the industrial agriculture industry. Suddenly, the day felt utterly depressing. So much of the dinnertable conversation revolved around the remains of a tortured animal who was not so different from my beloved cats. Who’s going to carve the turkey? Who gets the legs?The holiday I’d always loved for its spirit of gratitude centered on an animal who had nothing to be grateful for in her life. Thanksgiving always meant gratitude, happiness and eating turkey at my Aunt Mollie’s house. It wasn’t until later, when I learned what turkeys go through to arrive at our table, that I began to see the holiday differently. This Thanksgiving alone, 45 million turkeys will be killed for our dinners. Now that I know what sensitive and intelligent individuals turkeys are, it breaks my heart. Turkeys are also highly social. They boast a complex vocabulary of gobbles, clucks, putts, yelps, and whistles. Turkeys have personality and character, and they purr when petted. They mourn the deaths of flock mates. In the wild, turkeys happily spend their days caring for their babies, building nests, foraging, grooming, and even hanging out in trees. Baby turkeys stay with their mothers for the first five months of their lives. But factory-farmed turkeys, which are pretty much all Thanksgiving turkeys, meet their deaths at around five months of age. In fact, the turkeys we eat have been selectively bred to grow so large so fast that many of them suffer from painful bone defects, hip joint lesions, and crippling deformities. And the nightmare doesn’t stop there. Many turkeys have heart attacks upon watching their fellow birds being killed. 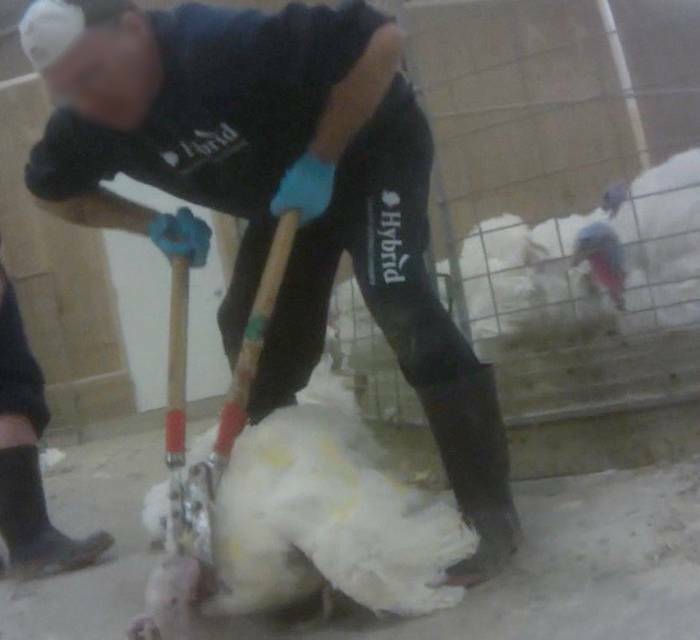 If they survive until slaughter, production lines move so fast that workers often fail to kill the birds before they are dropped into the scalding feather-removal tanks fully conscious. This horrific suffering is considered standard and acceptable by the animal agriculture industry. But the cruelty goes even further. 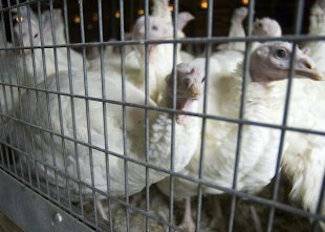 Undercover investigations into Butterball—the largest turkey producer in the U.S.—resulted in the first-ever felony conviction for cruelty to factory-farmed birds after workers were documented punching, kicking and throwing turkeys. These heartbreaking investigations revealed baby birds ground up alive in giant macerators, toes and beaks cut or burned off without painkillers, and injured animals left to suffer and die without proper veterinary care. But Butterball is no outlier. Thankfully, the Thanksgiving holiday lends itself perfectly to eating cruelty-free. Classic sides like mashed potatoes, string bean casserole, cornbread and stuffing, are easily and deliciously veganized. Turkeys can be easily replaced with delicious centerpiece, like stuffed squash, vegan wellington or plant-based roasts. (My top recommendations are the Celebration Roast by Field Roast and Gardein’s Holiday Roast.) Many options are available at chain grocers or natural foods stores. These days, with so many healthy and delicious options, it's easy to feel satiated without contributing to animal cruelty, on Thanksgiving Day or any other day. Now that's something to be grateful for. Ari Solomon serves as the director of communications at Mercy For Animals, a national non-profit farmed animal protection organization.